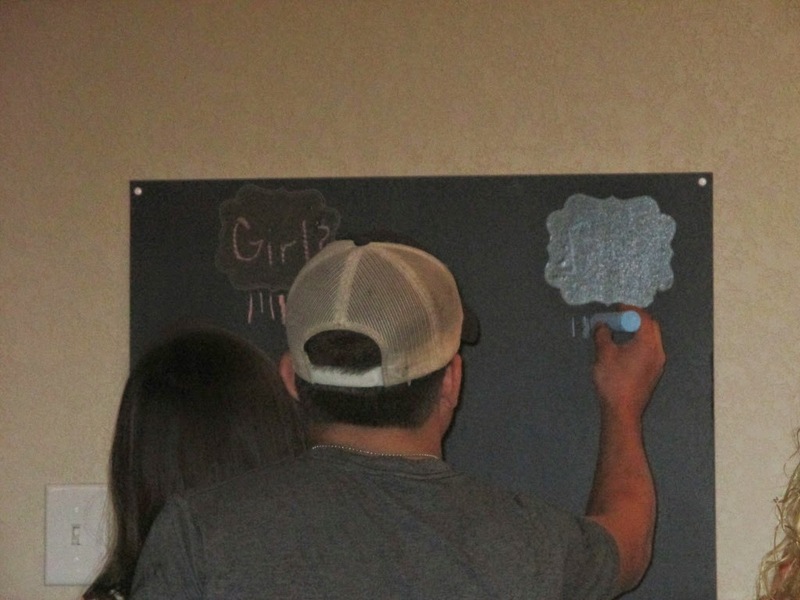 In the midst of the crazy week, I had the chance to be a part of a gender reveal party! It was soo much fun! 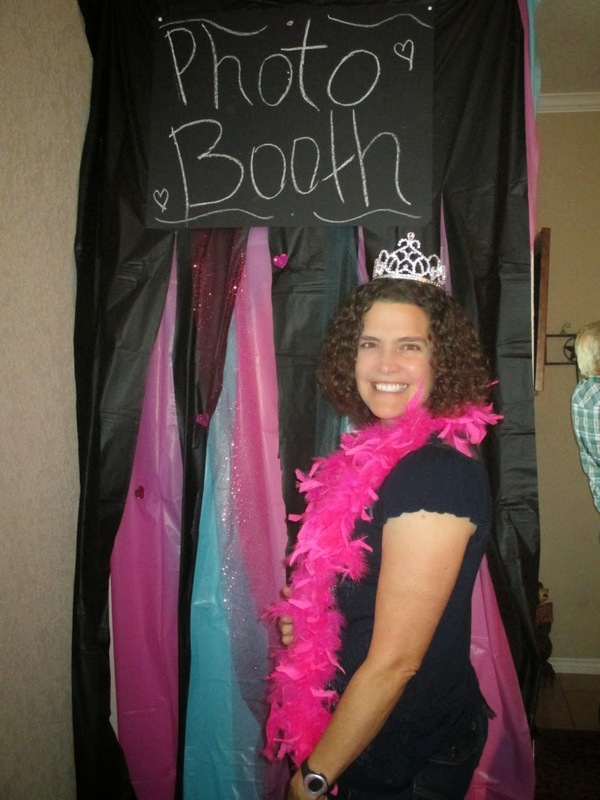 The theme we created was "Boots and Spurs or Glitter and Bows." 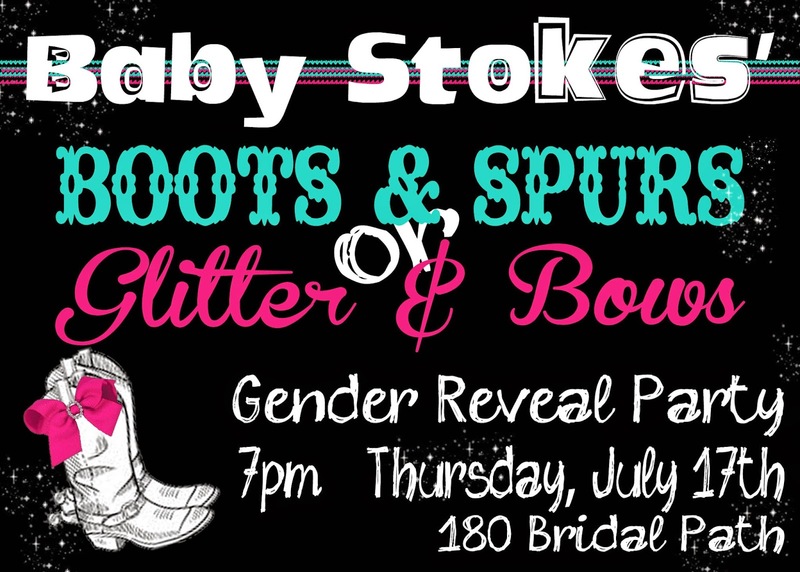 Here is the invite that I made. 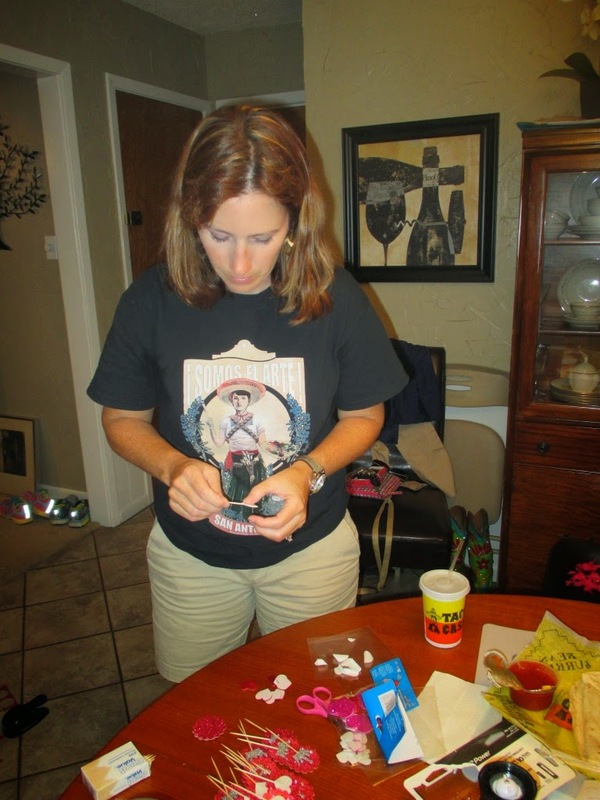 A few days before the party Crystal and her daughter came over and we made decorations. We had a blast! 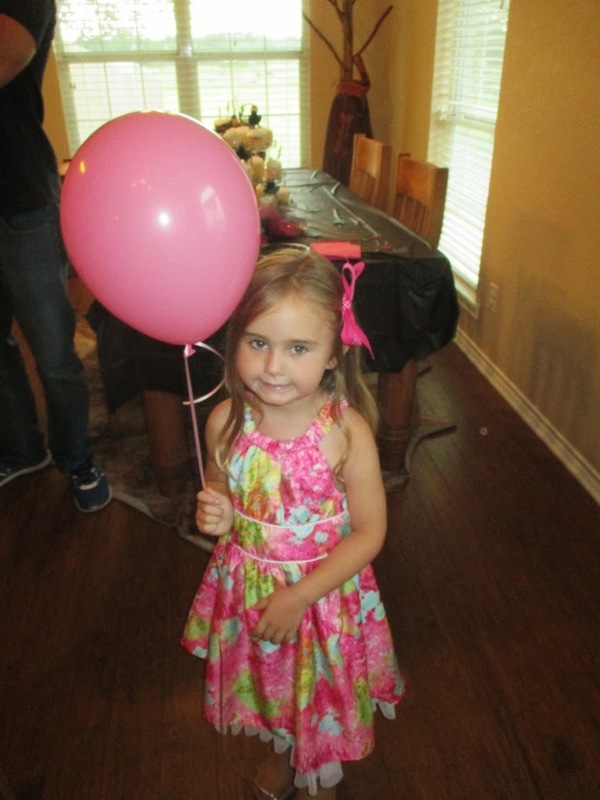 Kylie and Victory played and stayed out of the way (win!) 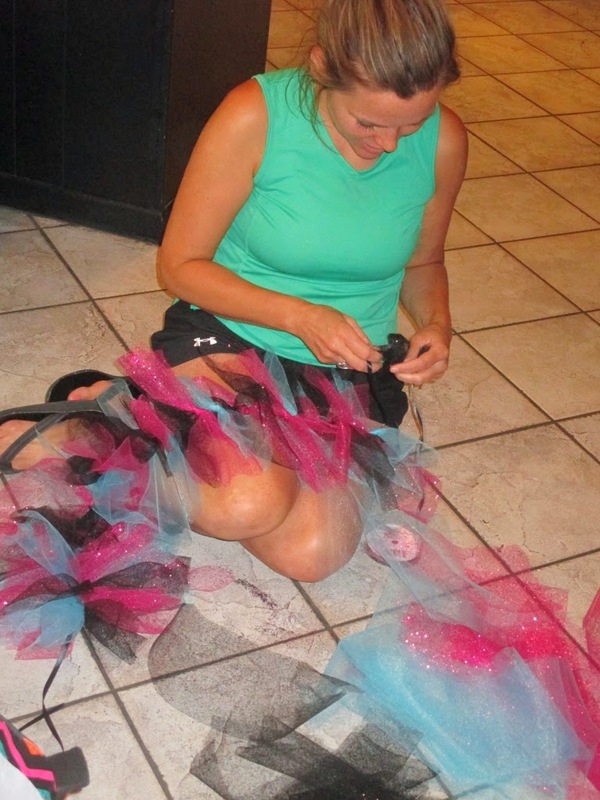 and Lexi helped make decorations! 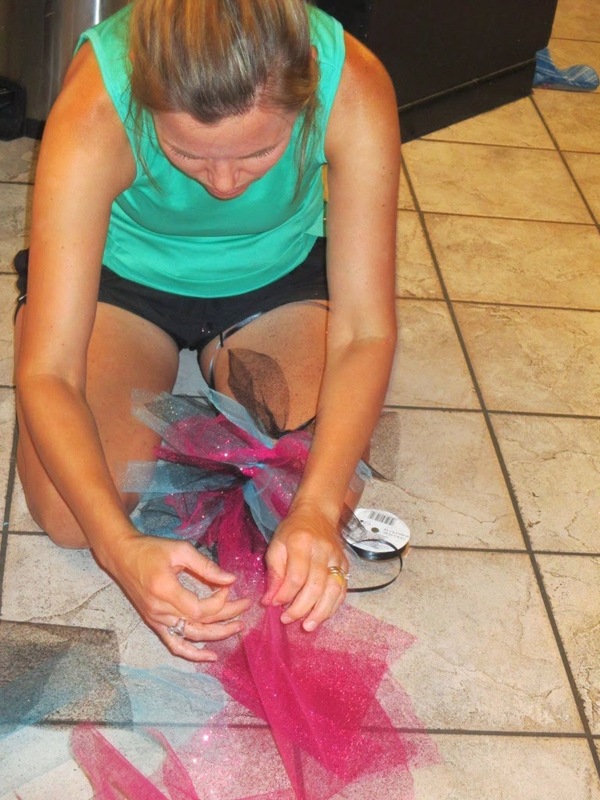 Here are Lexi and Crystal making tissue pom poms. 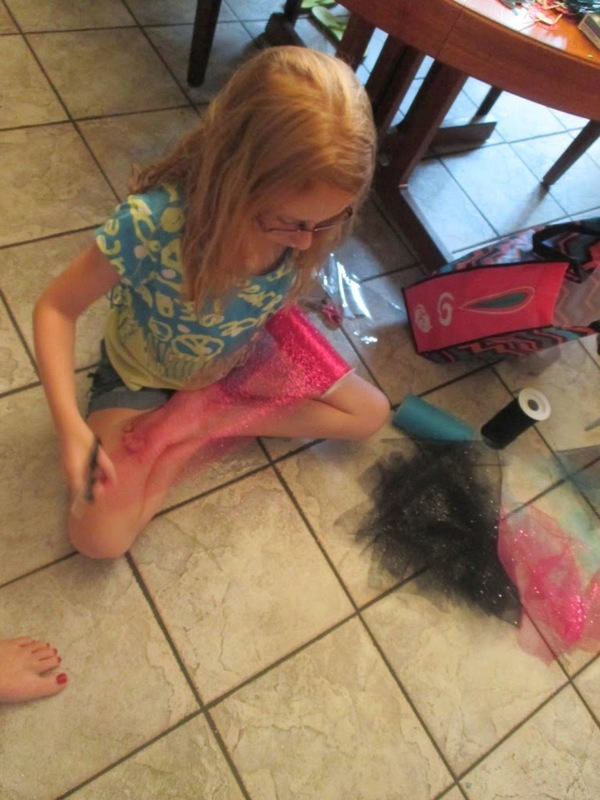 Then they made a tulle table topper/tutu..
it is now the infamous GLITTER "thing" in our house. 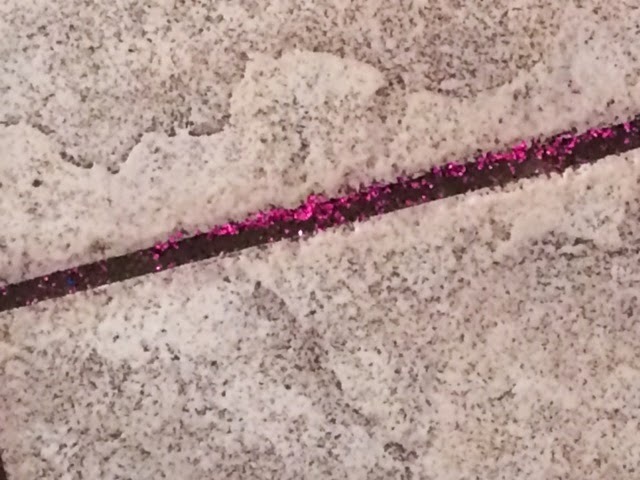 Apparently the grout in our tile REALLY, REALLY likes pink glitter!! 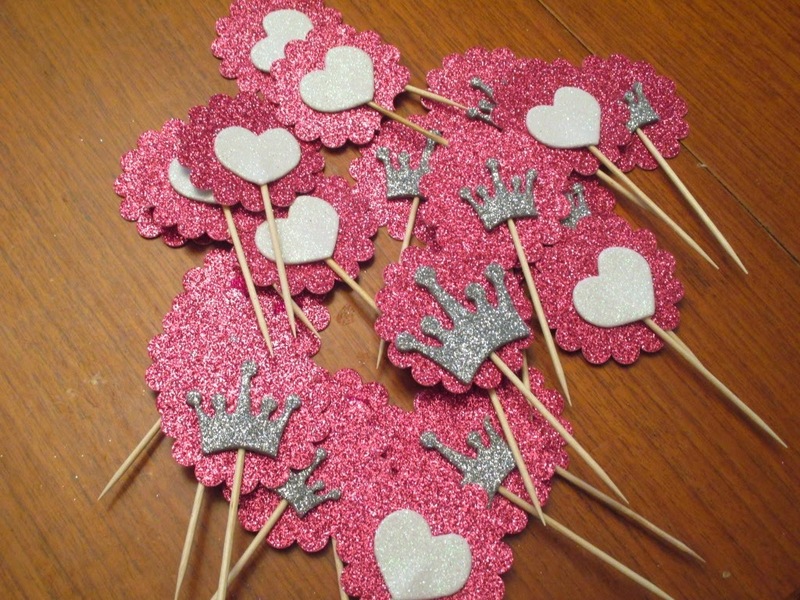 Anyway..while they were glittering the floor, I was glittering the table. 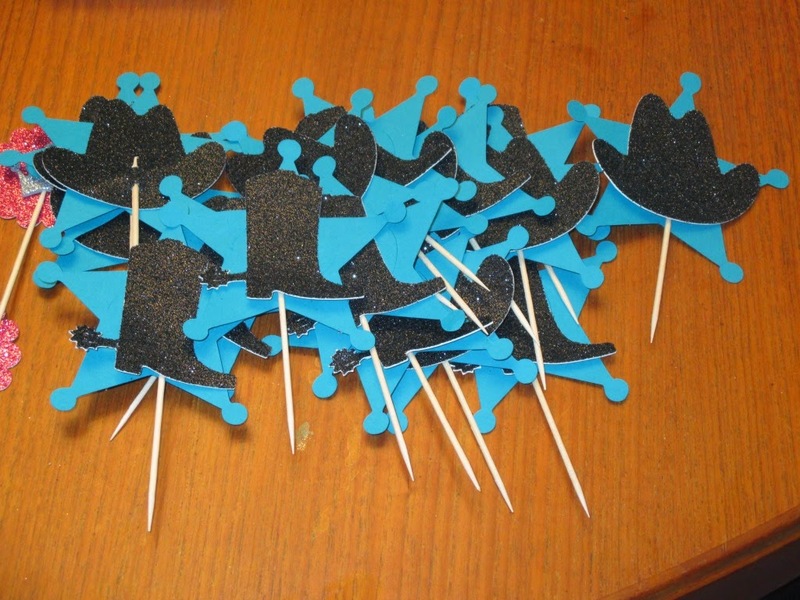 I made the cupcake toppers. 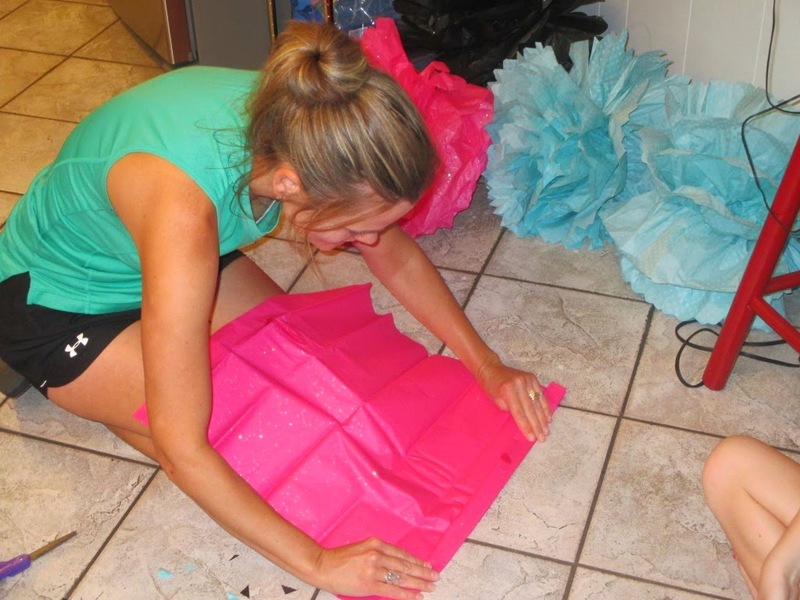 Party day arrived and ran from art camp to getting things together for the big reveal. 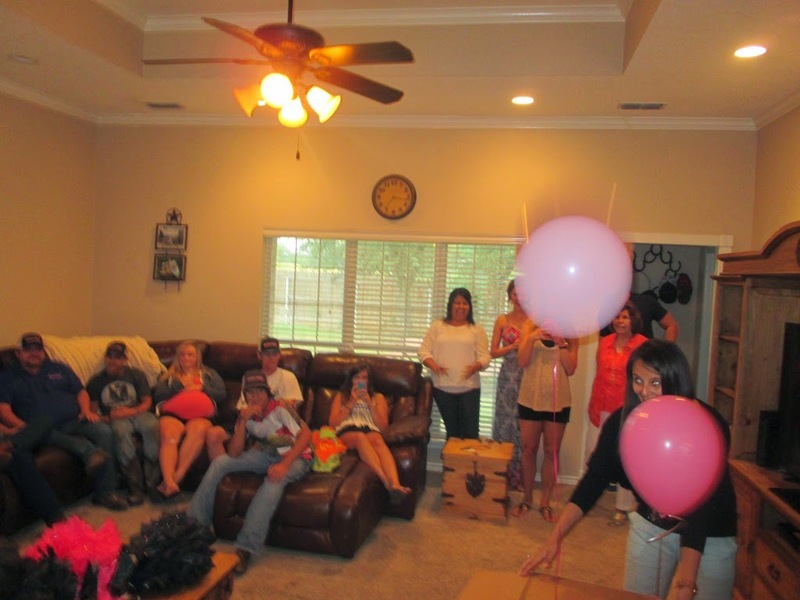 The girls each wore the color they thought the baby would be! 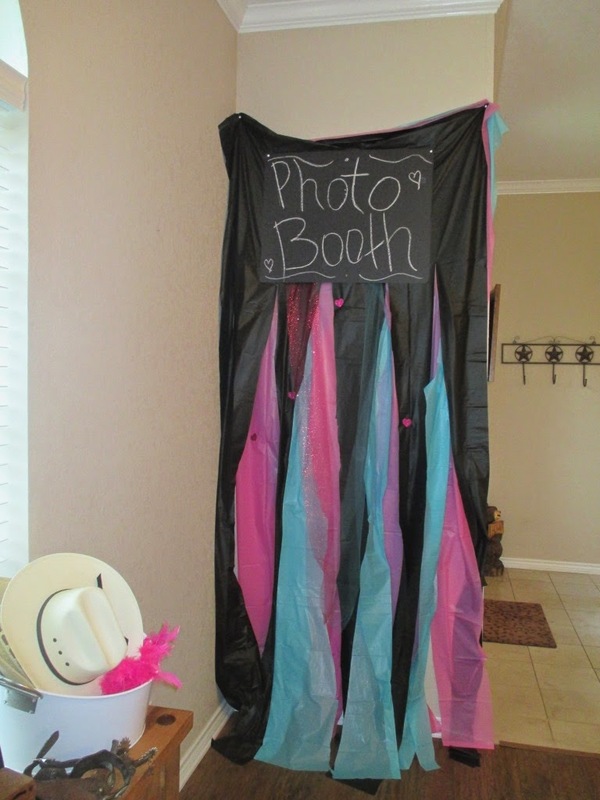 Crystal came up with the CUTEST photo booth idea using plastic tablecloths! LOVE IT! 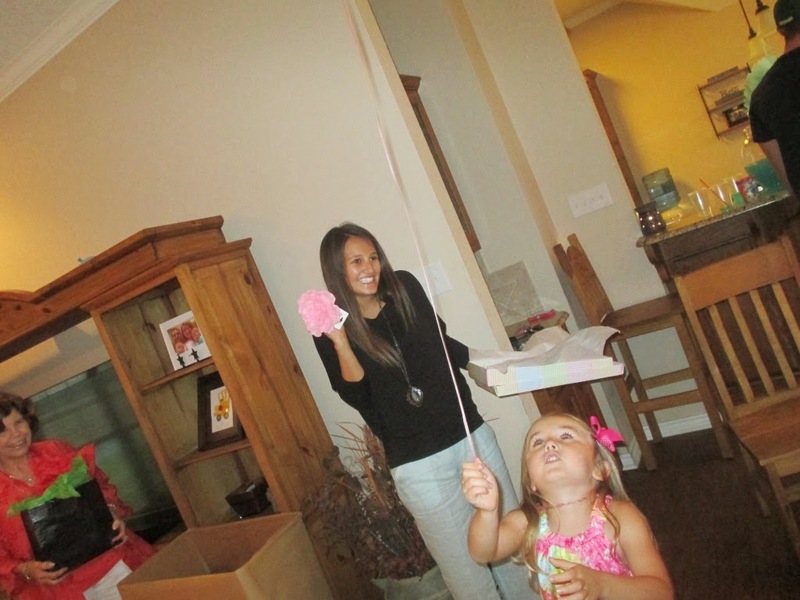 And we put together a bucket of girl and boy stuff so that guests could take their picture with what they thought Mandi was having. 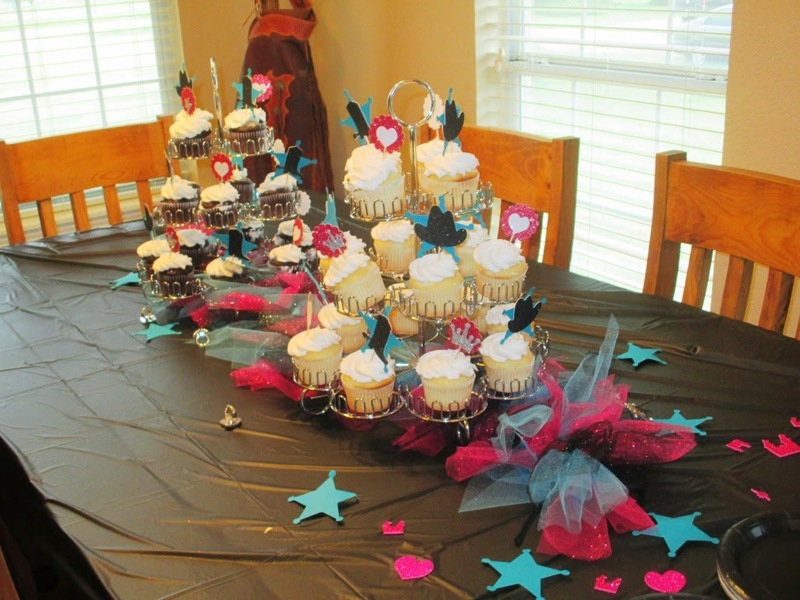 Didn't the cupcakes turn out cute! 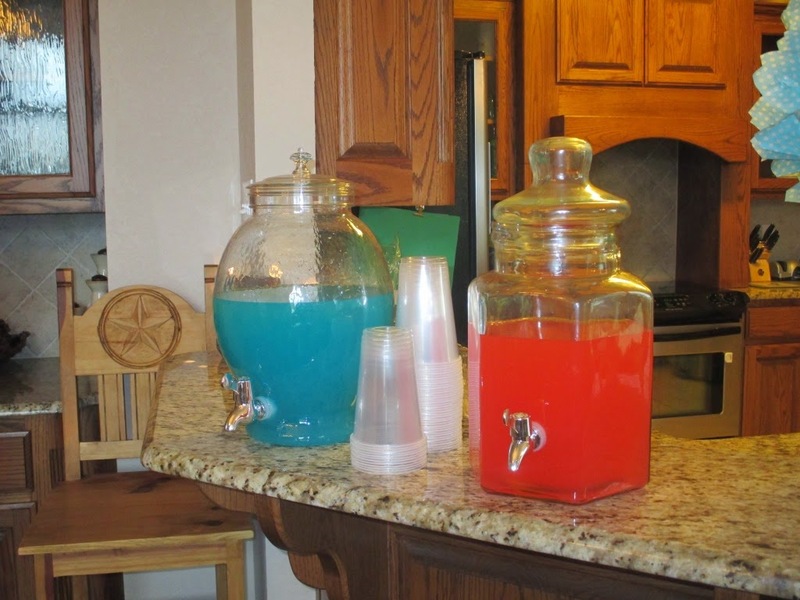 And we even had pink and blue punch! PINK!!! 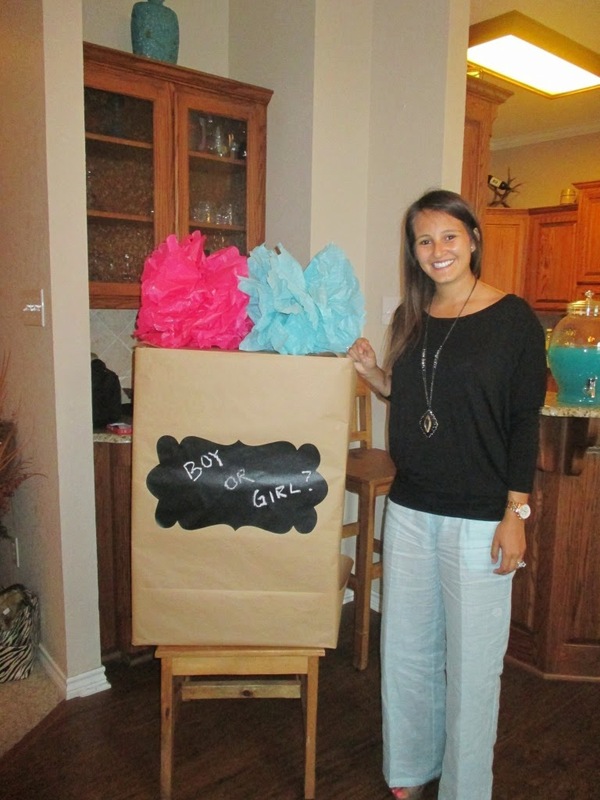 A perfect compliment to Mandi's two boys! 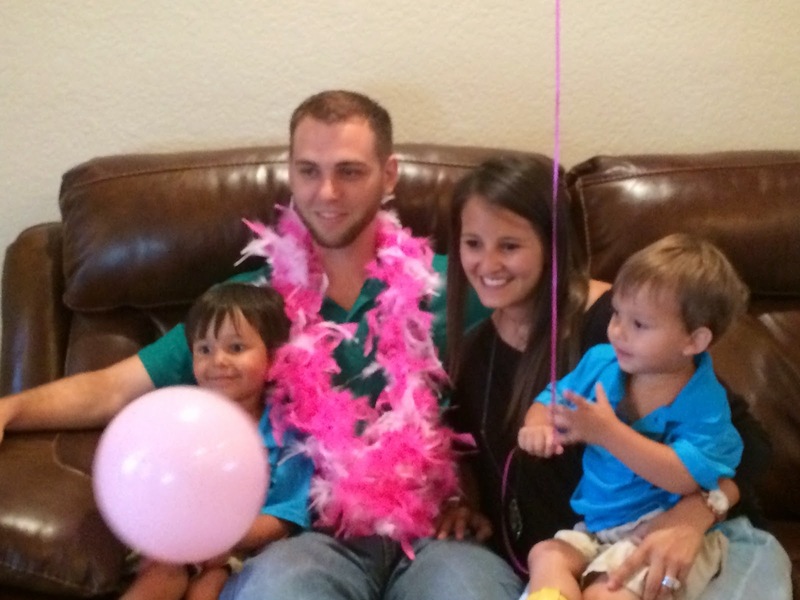 It was a fun evening and we can't wait to meet their little girl!